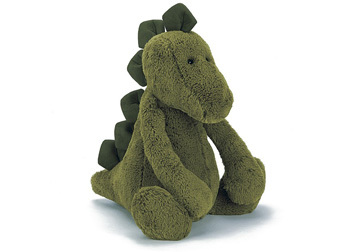 Most dinosaurs were scaly and tough, but Bashful Dino is the softest stegosaurus we’ve ever snuggled! He likes to stomp around so his squishy spines wobble, and practise his adorable roar. But how did he get so gorgeously green?